We are the leading supplier of Rubber Tracks, Backhoe Tires, Skid Steer Tires, Wheel Loader Tires and More in Oakland, East Bay Area. If you have a job-site/ work-site in the Oakland or East Bay Area, give us a call. We can arrange for trucking and transport to Oakland from Sacramento. Our inventory ranges from Rubber Tracks to Backhoe Tires, Skid Steer Tires, Loader Tires and more. If you have any questions, give us a call today! 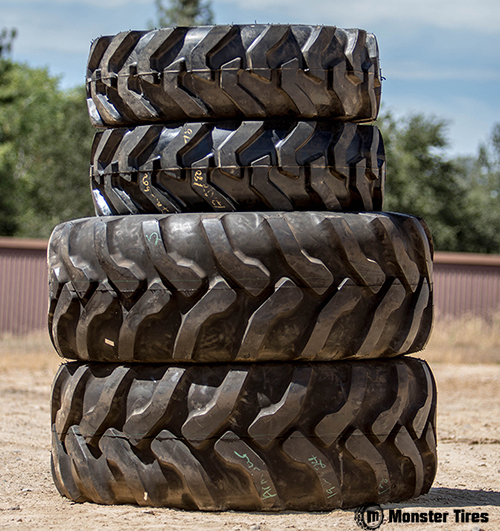 Here at Monster Tires, we are committed to bringing you the best industrial tires for your Oakland business. Whether you are a contractor, a construction company owner, a landscaping company owner, a homeowner, or anyone else, heavy equipment lets you do jobs that you couldn’t do otherwise. And industrial tires keep your heavy equipment running. We offer backhoe tires, skip loader tires, skid steer tires, wheel loader tires, and much more for your Oakland business. We offer sets of four tires as well as sets of front or back tires if you don’t need to replace all four tires at once. We also offer a variety of different tread types, so you can make sure too get the tire you need for your project and job site. If you are working on loose, muddy soil, you need a very different kind of tread than if you are working on smooth grass that you don’t want to tear up too much. Even if you aren’t quite sure what kind of tire you should order, we can help you. Just give us a call and our industrial tire experts will help you figure out what you need to order to get your heavy equipment up and running again in no time. If you are looking for backhoe tires in Oakland, you have come to the right place at Monster Tires. We have backhoe tires to fit your make and model of backhoe, including Case, Caterpillar, John Deere, JCB, Komatsu, Kubota, Massey Ferguson, New Holland, Terex, and Volvo. We have tread styles to match any kind of job site. We offer front and back wheel sets, in case you don’t need a full four wheel set. Of course, we also offer a four wheel set in case you do need all four tires replaced. And if you don’t see what you are looking for, or if you aren’t sure what you need to order, help is only a phone call away. We will make sure you have the resources and equipment you need to get your backhoe up and running again. We know that down time is really expensive, so we make sure to get your backhoe back in working order as quickly as possible so you can get back too doing your job. Your skip loader is an extremely important part of your Oakland business, and you can’t afford to have it sitting unused because of damaged tires. Downtime is terrible for business because it represents money you could be making and aren’t, and because it eventually makes clients frustrated with you. 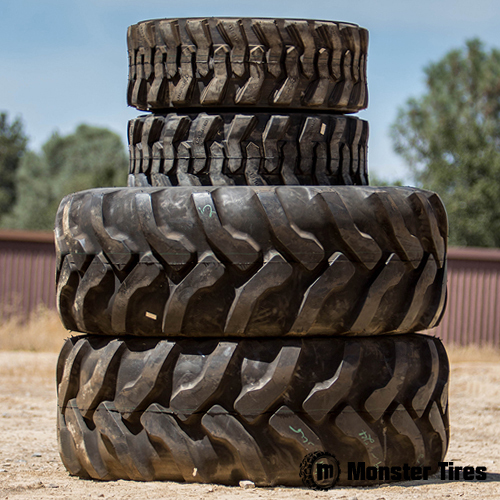 Shorten your downtime with quick shipping from Monster Tires on your skip loader tires. Or skip the downtime altogether by ordering your replacement skip loader tires before your existing tires are even worn out. That way when damage does happen, you have an extra set already on hand to replace your old tires and keep your skip loader running without a hitch.